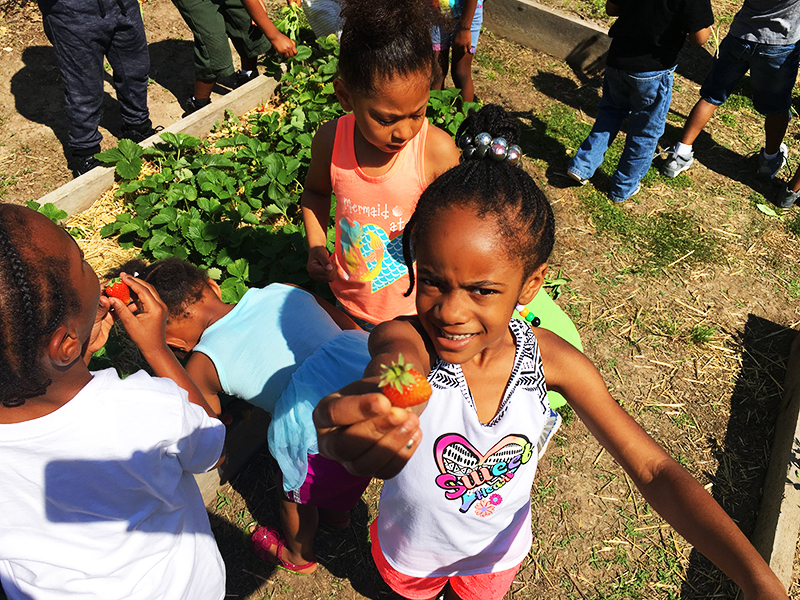 Andie Conn, Youth Gardens Assistant – Americorps, contributed to this article. 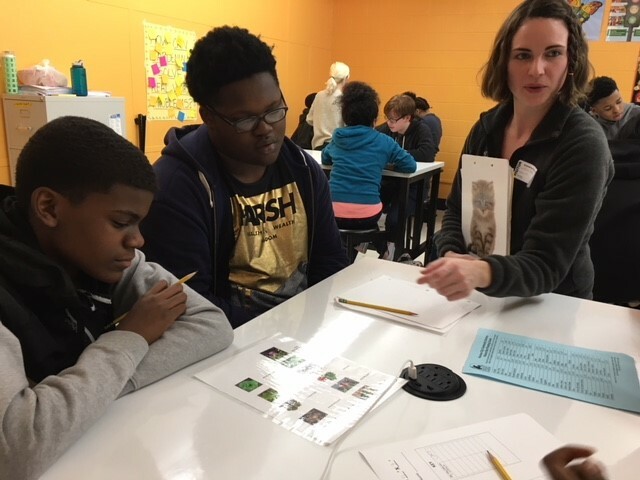 On January 31st, the Beanstalk Garden staff took a trip to Grandview High School for a two day garden design project-based learning experience. 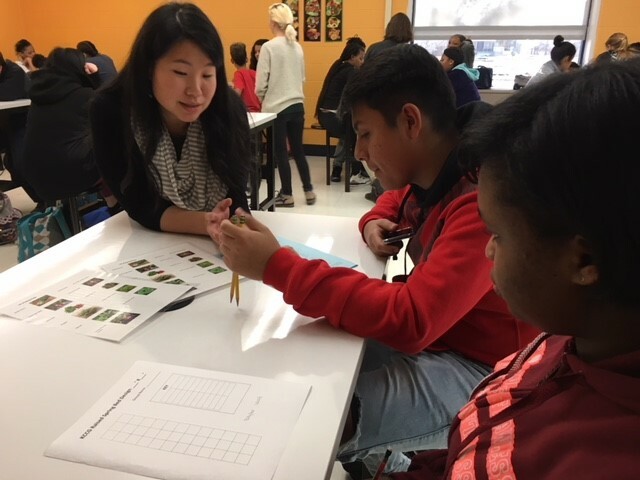 The Health and Nutrition instructor, Cassie Dolinar, invited the Beanstalk staff to lead a discussion on nutrition, garden design, and gardening career information and then initiate a garden design contest. 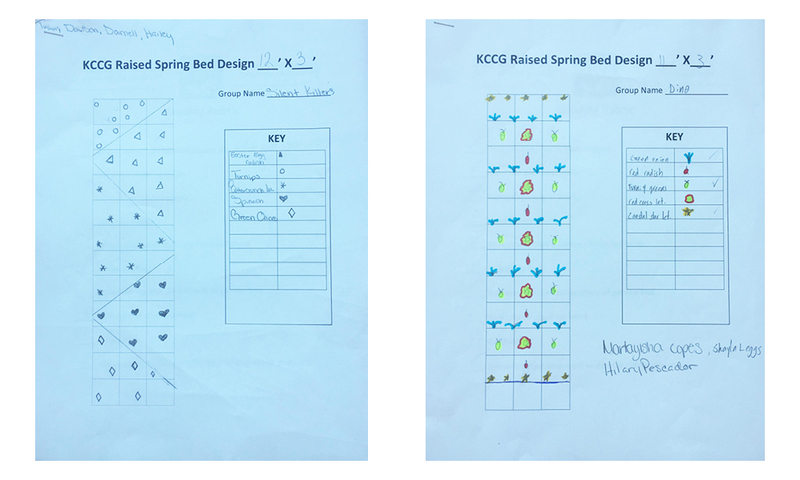 The contest was to design a spring garden bed that would meet the bed requirements, provide a harvest, and be appropriate for the season. In this harvest-to-table project, winning designs will be planted out along the front sidewalk of the Beanstalk Children’s Garden. 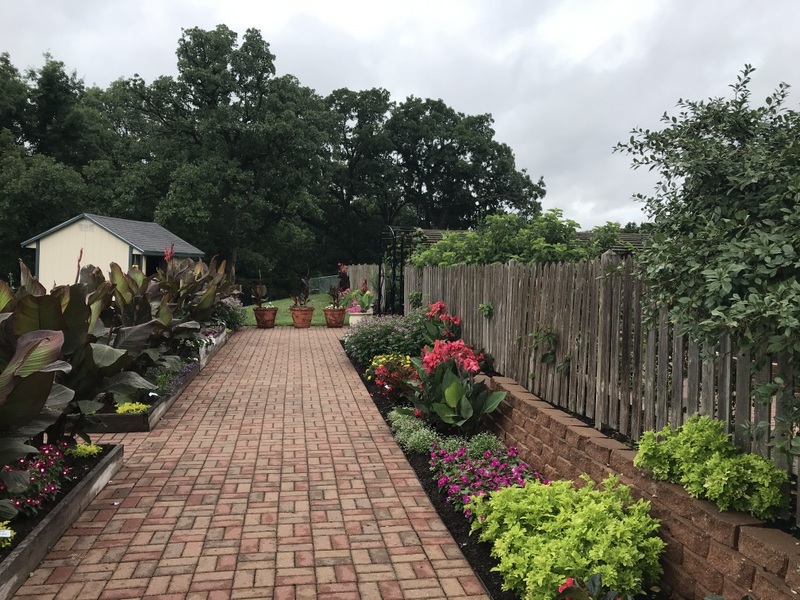 Produce from this garden will be harvested and enjoyed by students when they come to visit the garden this spring. Marking off a space that was the actual size of the garden, students used spring crops to plan a bed design. 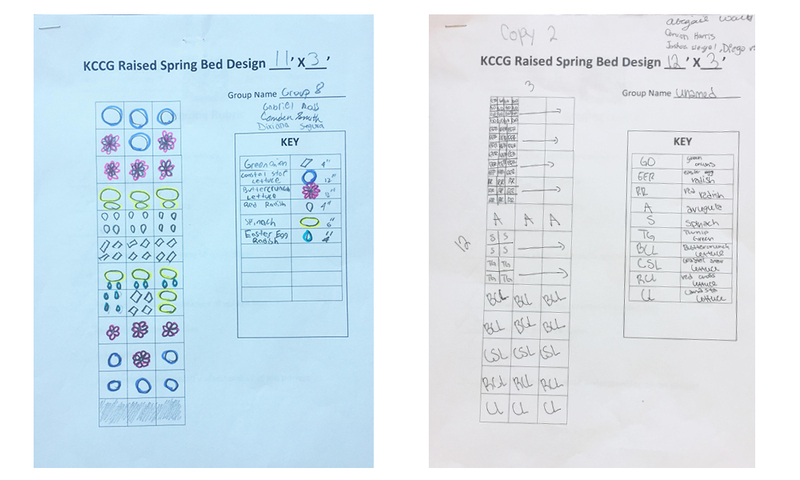 Students did individual and small group designs knowing that their design would be planted in real life. 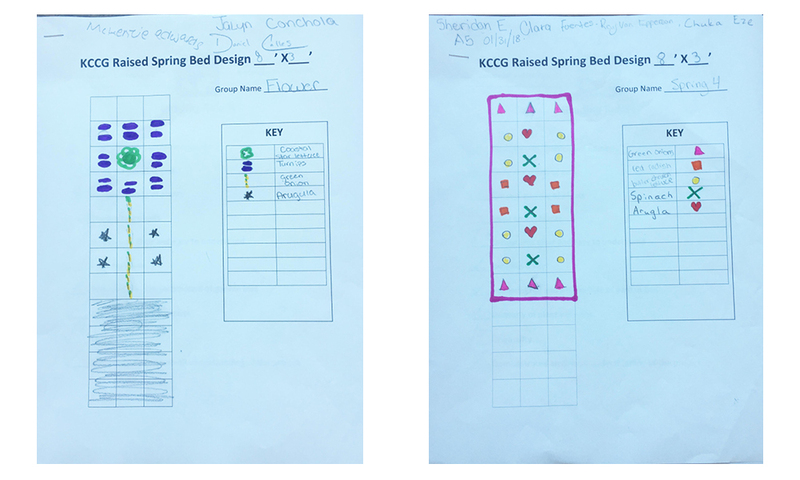 Each garden design was compared to a rubric for selection as a winner. There are six Health and Nutrition classes with a winner chosen for each class. 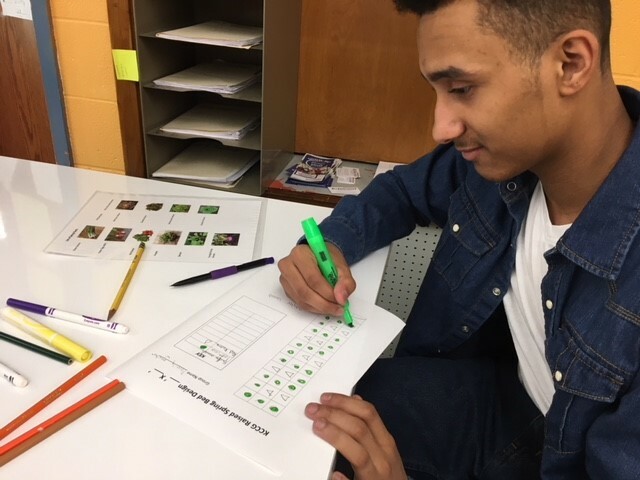 Students had many creative ideas including how gardens could bring life to abandoned spaces in their neighborhoods as well as the resulting health benefits from working outdoors! KCCG looks forward to seeing these designs come to life. Stay tuned for updates this spring!